Ankit Daftery is an engineering student at the Veermata Jijabai Technological Institute in Mumbai, India and he decided to take it upon himself to add the ability for the blind to type on an Android device. He was convinced he could add Braille support to the mobile platform. Today, he is starting to turn that idea into a reality. OnlyGizmos brings us this video where the enterprising student earnestly speaks about BrailleType, a simple but ingenious application that will allow blind people to type on a smartphone using the Braille alphabet much in the same way that they use it for reading. BrailleType gives the user a blank canvas, with the top 90% of the screen available to the user for entering in the characters and a strip at the bottom displaying them as they are typed, in addition to reading them out using Android’s built-in text-to-speech synthesiser. When we asked about the price, Daftery said that he hadn’t decided on one yet and remarked that it was too early in the process right now for him to be able to tell us whether it would be released for free or come at a cost. Right now, he says, his motive is to get the app up and running and make it powerful enough that it can actually make a difference in the life of a blind Android user. Daftery said that he regularly visits schools for blind children in order to test his application in the real world and improves it based on the feedback he gets from them. 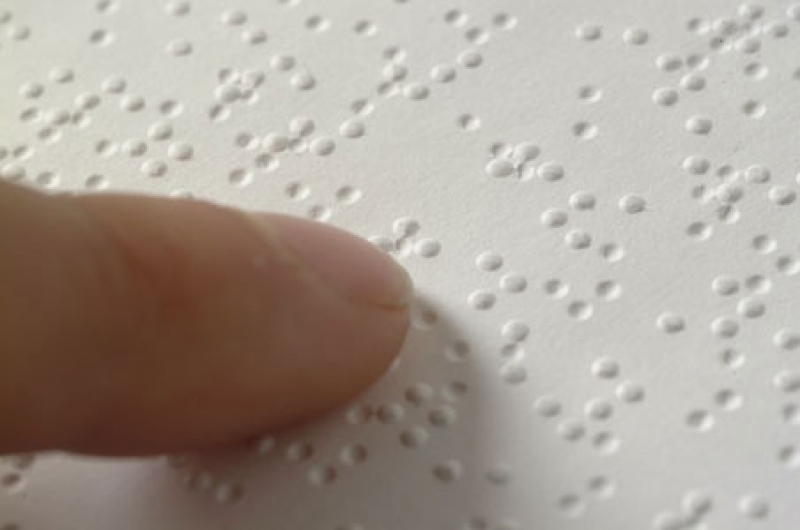 The gesture for the whitespace character, for instance, was suggested to him by a blind person who was used to working with other technology-based Braille typing solutions for desktop computers. All of Daftery’s current efforts are directed towards the Android platform, but we wanted to know if he planned to work on solutions for users of Apple’s iPad, iPhone and iPod touch devices as well. Apple’s development model does not allow for third-party developers to make systemwide keyboards for the device, so we weren’t surprised to hear that he “had no specific plans but was looking into that”. Even if iOS support never comes to BrailleType, however, Daftery thinks that he may be able to finalise the features for the Android version by next week and then release the app soon after. What we are seeing here is an impressive demo of the way technology can be used to enable people with physical disabilities. We’ll know how well it works once it is released and being used by people with visual impairments, but we’re hoping for the best. Read next: Publishers beware: Is CodexCloud the Grooveshark for ebooks?